Travel does more than broaden the range of a person’s experiences. It also provides a new perspective from which to view the familiar. That skill is especially valuable to education majors who are preparing for a teaching career. 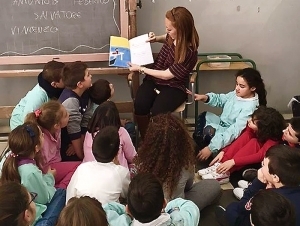 The School of Education at Buffalo State has developed international initiatives to provide students with the opportunity to travel to nine countries on five continents through the International Professional Development Schools consortium (IPDS). Since January 2017, 32 education students have taken advantage of the program to travel, observe classrooms, and teach abroad. They have also kept blogs about their trips, reporting on recent experiences in Chile, the Dominican Republic, Germany, Italy, and Zambia. Annie, a senior early childhood education major who traveled to the Dominican Republic discovered that, while it’s important to acknowledge the effects of poverty, it’s “also important to remember that great things are happening.” Nailah, a future math teacher who initially struggled with the currency system during her visit to the DR, thinks that teaching students about different national currencies might be both a useful and interesting way to engage students with math. Upcoming opportunities include travel to England and Rwanda. Almost to a person, participants report that the experience is life-changing, not only for its academic value, but for the confidence and personal growth they experience.